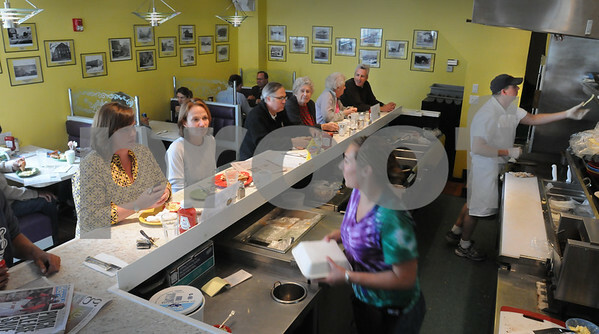 Newburyport: Emily Wetenkamp delivers a to go order as Taffy's owner Jim Noyes checks an order in back. The landmark Newburyport restaurant reopened last Friday. Bryan Eaton/Staff Photo Newburyport News Wednesday June 10, 2009.